Located in Binzhou, Sunlight Holiday Hotel is within a 15-minute drive of Puhu Park and Shuangyong Square. Featured amenities include dry cleaning/laundry services, luggage storage, and a safe deposit box at the front desk. Free self parking is available onsite. With a stay at Hailian Hotel in Guangzhou (Haizhu), you'll be within a 15-minute drive of Yuexiu Park and Gold Coast Water Park. With a stay at Zhaoshang Meilun Hotel in Shenzhen (Nanshan), you'll be within a 15-minute drive of Shekou Ferry Terminal and Chiwan Tin Hau Temple. Free self parking is available onsite. 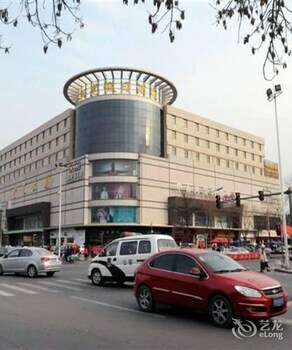 Located in Linyi, Home Inn Hotel is within a 15-minute drive of Linyi People's Square and Linyi Science and Technology Museum. Free self parking is available onsite. With a stay at 365 Inn-beijing in Beijing (Dongcheng), you'll be within a 15-minute drive of Ditan Park and Lama Temple.